According to this chart, your MAIN INTAKE should be PASTA. 6-11, as said on some charts. To me, and many others who have crossed over to the Paleo lifestyle, that is an absurd and unhealthy sugar overload. Even the app on my phone that I use to track the foods I eat tells me I’m eating only 50 grams of carbs and I have a dire deficiency- apparently it wants me to eat 250+ grams. Insane. 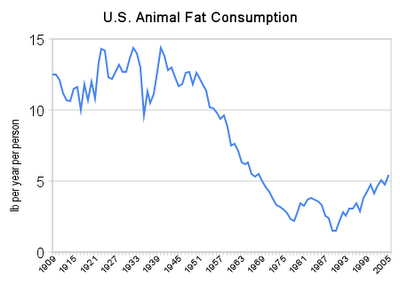 The reason America is obese is not fats, which we are told to use “sparingly” by this chart. In fact, natural fat consumption, such as that from animals, has gone DOWN in the past decades. So what has changed? Why are we getting fatter? Just look below. These are the oils we are eating with an overload of Omega 6 fats that lead to this list of inflammatory diseases. Please note, this list is far from comprehensive. Anthropological sources suggest that human’s evolved eating a diet with an ratio of Omega-6 to Omega-3 of 1:1. While it may be difficult to accomplish, a great starting point is to supply your diet with Omega-3 EFA’s containing food and supplements. In the first study of its kind, researchers at the University of Pittsburgh have determined that healthy young adults ages 18-25 can improve their working memory even further by increasing their Omega-3 fatty acid intake. Their findings have been published online in PLOS One. Also, please be aware that meat products such as beef that are raised on American/Canadian farms are fed nothing but carbs and grains to make them fat and juicy. This is not what cows are meant to eat, just like it is not what we were meant to eat. Cows that are grass-fed as nature intended have a perfect Omega 3:6 ratio and are great for us to eat. (Don’t believe the red meat warnings. Grass-fed red meat is not only heart-healthy but heart-healing even.) Meat that is sold in regular grocery stores may be advertised to have eaten a “Vegetarian Diet!” and be “Hormone Free!” Think about it, what do vegetarians eat? Pasta. Grain. The meat will be filled with unhealthy Omega 6’s, just as our bodies are. Avocado, avocado oil, and coconut oil are three more excellent fats to use in your diet. I cannot think of enough reasons for everyone to stop eating grains and carbs. Grains are what fully cause belly fat. Grains are actually toxic, containing toxins such as lectin and phytic acid. Wheat is the worst culprit, mainly consumed in the U.S., which just happens to be the fattest country in the world. Coincidence? I think not. The LOWEST prevalence of obesity, less than 1.3%, is present in rice, vegetable, and meat eating countries: China, India, Japan, Indonesia, and southeast Asia. Rice is the only “safe” grain and non-toxic cereal grain that can be eaten in moderation and not cause a toxic inflammatory reaction or intense insulin spike. The countries that rely on wheat, the U.S. and Australia, are the FATTEST. Thanks to our friend up there, the food pyramid. If you go into any bakery, bread shop, or supermarket and try to find that “pasta and bread” recommended as the staple of our diet, unless labeled “gluten-free,” it is packed with wheat. Studies were done with mice comparing the body fat and insulin resistance of those who ate wheat to those who ate rye (another glutinous and dangerous grain), although those who ate rye got considerable fat, the mice who are wheat were worse. source: Andersson U et al. Metabolic effects of whole grain wheat and whole grain rye in the C57BL/6J mouse. Nutrition. 2010 Feb;26(2):230-9. http://pmid.us/19647415. China, India, Japan, Indonesia, and southeast Asia, the same countries highlighted in the above map as being the least obese, are the countries that consume LESS than 100 calories from sugar grains and sugar (carbohydrates) per day. As we’ve learned, sugar, grains, and hydrogenated/unbalanced oils are the things that are killing us. The cereal grains we consume more than 600 calories of per day have made us the most obsese country in the world, and many of us have guts to prove it. By replacing those calories we used to eat of grains with calories from healthy fat and protein sources, we will slim down in record time. Animal fat should be the main part of your diet, and saturated animal fat. Unlike you’ve been told by the standard diet, saturated fats are not the devil, in fact, they are a natural part of every animal. By eating animal fat as your main source of calories, you will be eating the protein aspect of the meat as well, conserving your muscle, building new muscle, and burning away fat storages created by left over sugar and grain. MyFitnessPal. Thank you very much!